My good friend, Laurence O’Bryan is reknowned as a puzzle master. Read his first book ‘The Istanbul Puzzle’ to find out. Recently I asked Laurence (or LOB as I call him) about using puzzles within his novels. He offered to write my a guest post about it. Stephen C. Ormsby has jumped to a new blog. updates for Stephen and his works as well. Please join us at http://IdeasCaptured.com/Blog. which I urge you to follow as well. There you will also be able to view the wonderful photos Marieke has taken as well. 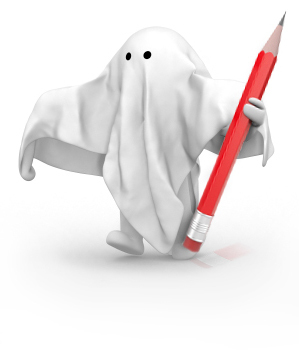 on the IdeasCaptured blog, so they will not be lost! What themes are being overused? Vampires and zombies are everywhere, and now soft-core erotica is hot, but trends come and go. The challenge is to write something that will outlast the trends and stand up over time. Do you see ebooks threatening traditional publishing? It’s just another option. Self-publishing is no more a threat than YouTube is to blockbuster theatrical releases. There are more options for audiences, but it’s also easier than ever to get a lot of content as well as create and distribute it. Do you prefer to read established authors or debut authors? How do you choose which ones to read? I read a lot of newer, indie authors but in general I like the tried-and-true favorites. There is still something to be said for the quality of a traditionally published book–if nothing else, at least the author had to jump through competitive hoops to get attention, and publishers still employ editors. Do you have a target each day? As a self-publisher, I am in the business of selling books. So I have both a job and an art. 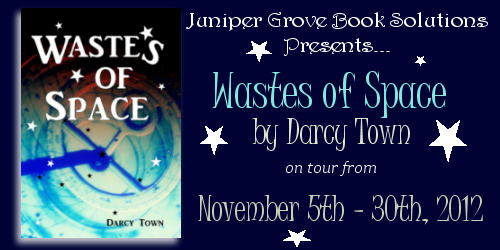 Writing is for fun, but I have to sell the books if I want to write more. So my life is a mix of creation and promotion. Fortunately, I enjoy all aspects of writing as an art and business. After so many books, how do you keep them unique? Every book has its on life, its own season, its own arc–usually superimposed over whatever is happening in the writer’s own life and head during that time. Do you remember the first time you saw your book in a shop? No. I never felt that sort of thrill, although I did enjoy opening the first box of printed books. By the time a book is published, it is usually long after the emotional act of creating it, and I’d rather focus on the work in progress. I discovered Sean McMullen with the release of his Greatwinter Trilogy – Souls in the Great Machine. This post-apocalyptic novel opens my eyes to this genre, and I tore through it, quickly going to look for more. I was lucky enough that Sean had a back catalogue another couple of books. From thereon, I was hooked on Sean’s writing; his style and his ideas. Sean followed Greatwinter with The Moonworlds Saga. He has also collected 6 Ditmar awards and 3 Aurealis awards along the way. Of late, Sean has been a bit quiet, but I know something new will not be too far away. Vardeman’s fantasy series include the War of Powers (6 volumes co-authored with Victor Milan), Cenotaph Road (6 volumes), The Swords of Raemllyn (9 volumes co-authored with Geo. W. Proctor), The Jade Demons (4 books), The Keys to Paradise trilogy, The Demon Crown trilogy, and a British-published trilogy called “The Accursed.” Vardeman is currently involved in the novelizations of the fantasy game series, God of War. Vardeman’s science fiction works include the Weapons of Chaos trilogy, 3 published books in the “Masters of Space” series, the Biowarriors trilogy, and the stand-alone novels “The Sandcats of Rhyl,” “Road to the Stars,” and “Ancient Heavens.” The 1991 techno-thriller “Death Fall” is a related novel, although works set in a contemporary setting are often not categorized as science fiction. Taking breaks, coffee, and having multiple projects. Those three things keep me sane. Taking breaks is key to staying normal. As a author, I do not want to be burnt out on writing, because it can happen and if it does, I’ll have dry spells that can go on for a long time (weeks to months). If I miss out on taking breaks, I also find that I tend to be book-oriented at all times. Take a walk with my sister for example. A howl from outside the building woke Ravil up. Her eyes shot open as goose bumps raced across her skin. She reached for Rake, but her hands slipped through air. Another howl came louder than the last, followed by a faint scream. She stared at her empty outstretched hand as the realization set in—he’d abandoned her. In the early 21st century, the Cold War between the American and Chinese Empires slogs on in a stalemate. There’s a ceasefire in effect, but the peace is artificial—secretly enforced by an alien blockade that surrounds the planet. Earth is caught in a territory struggle between two warring factions: the Empire and the Resistance. 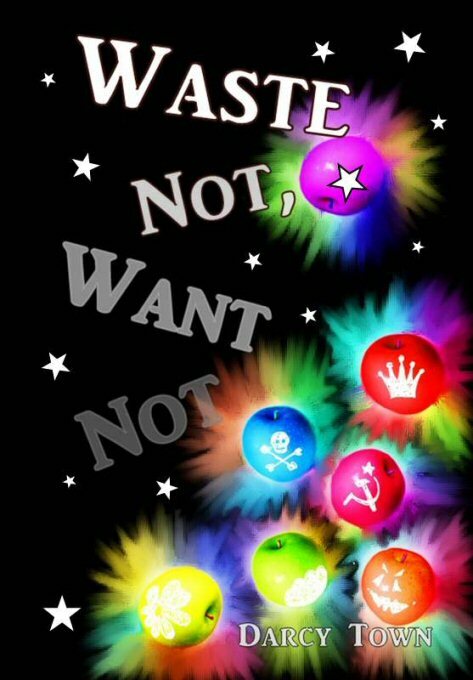 Lacking harvestable talents, both groups classify Earthlings as Wasters. Hidden among the Wasters is an alien girl with the power of moving spaceships. She teams up with Rake, a drug-addicted ex-Astronaut, to join an intergalactic war that Earth did not know existed…but first Rake has to realize he’s travelling with an alien to begin with. I earned a degree in Comparative Religion, so themes-wise that certainly pops up here and there in my writing (okay, more than a little here and there in some books). I write what I enjoy reading/watching – which is fantasy/sci-fi with dark humor and a bit of romance. What I consider romance however is to some…a bit off (and kinked out). And when I say dark humor I mean black. But I always have lighthearted moments (I do not believe a story should be all one way or another). Gotta spice things up! Speaking of…I like to write stories that cater to all sexual preferences in one story (as opposed to just writing gay/lesbian lit, etc). I have your typical male-female romances. I have male-male, female-female, transgender, bi-sexual, sub-dom, etc. This is mostly due to the fact that well…1. I like writing about it. 2. I see it in my everyday life. 3. I like having a well-rounded cast of characters from all walks of life. 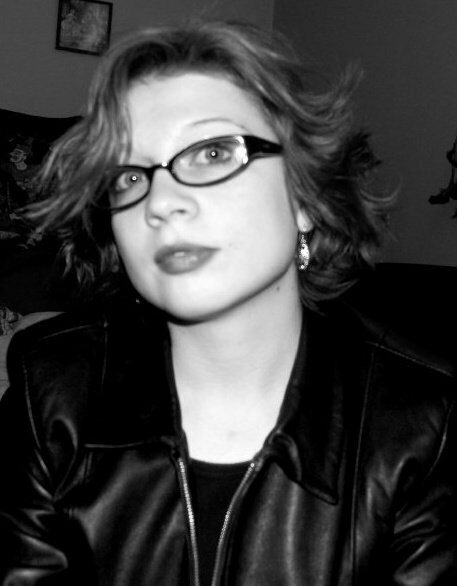 I am the author of the Morningstar Trilogy and the Wastes Series. 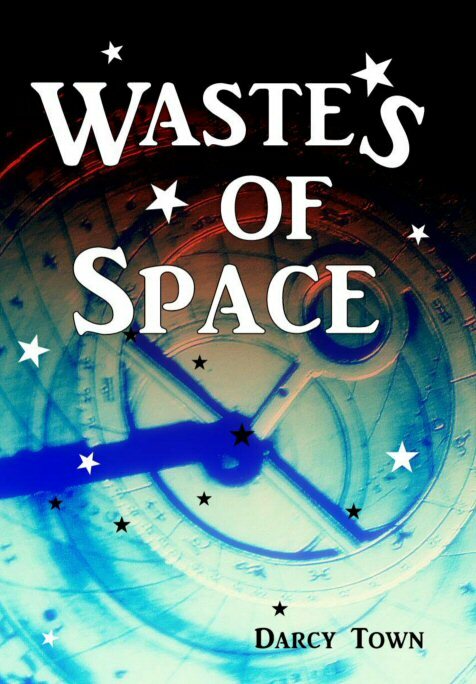 There are ten (10) eBook copies and five (5) print copies of Wastes of Space (Book One). 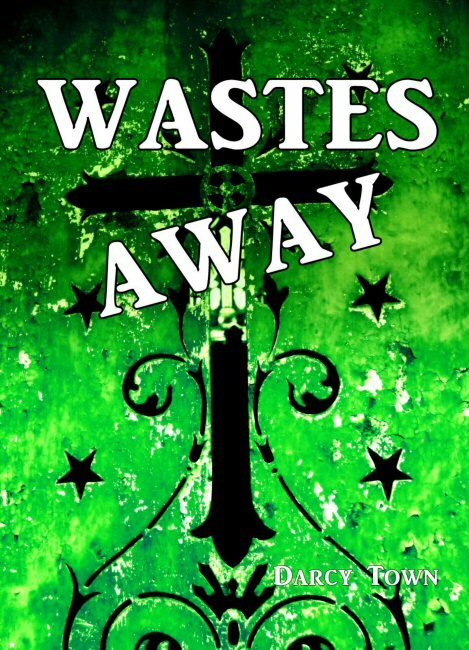 There are five (5) eBook copies and five (5) print copies of Wastes Away (Book Two) and also five (5) eBook copies and five (5) print copies of Waste Not, Want Not (Book Three). The eBooks are International. The print books are US and Canada only! Rake and Ravil have escaped Earth and the Empire, towing the rest of their friends and new allies with them. They flee to an abandoned Empire colony known only as Seed Planet 15. Out of fuel and common sense, they crash and nearly wreck their ship, stranding them in the middle of a seemingly endless swamp. On first glance the place looks mostly harmless, but what they’ve landed on is anything but. Seed Planet 15 has a nasty history. The planet has more hidden in the mist than just ghosts and rumors. And if the crew doesn’t get off the planet soon, there will be nothing left of them but spare parts and a rusted ship. Barely making it off Seed Planet Fifteen with their lives, Rake and the crew are content to hang out and lick their wounds for a while, if it weren’t for the fried wiring and Stalker damage that have left the ship prone to reoccurring blackouts. Needing supplies for repairs, the crew decides the best course of action is to raid abandoned Ampyr outposts for gear. Smart, no foreseeable problems there. Except one of the outposts they hit isn’t empty, Lincoln’s personality issues are getting worse, food is going missing, and their Rexos is about to hit puberty and apparently that’s accompanied by uncontrollable rages. As if that wasn’t enough bad news, there seems to be a sentient black hole chasing down Ravil and attempting to eat her. But not to worry, Danny’s reforming their squad and apparently ranking still flies out in space. No more messing around, things are getting serious. At least seriously screwed up. Rachel is a new friend of mine, but is becoming a fast friend. She has a wicked sense of humour and really great writing style, which I am somewhat envious of. Her first book ‘White Gold’ is doing amazing things. The only problem is not she’s not quite Australian, even though she now lives out here.